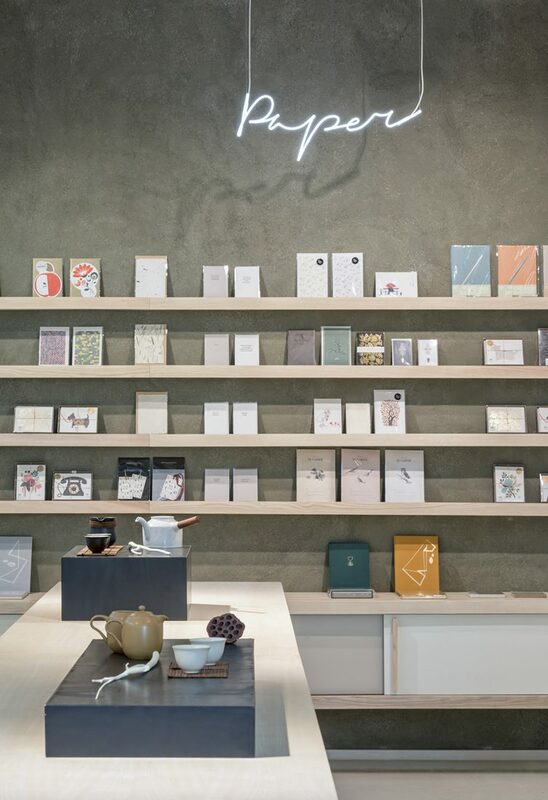 Tea has historically been viewed as a quintessentially British drink, but after teasing us for donkey’s years about our love of a good cuppa, it seems our coffee-quaffing continental cousins are starting to take a leaf out of the Brits’ book and embrace tea as a beverage worthy of respect. 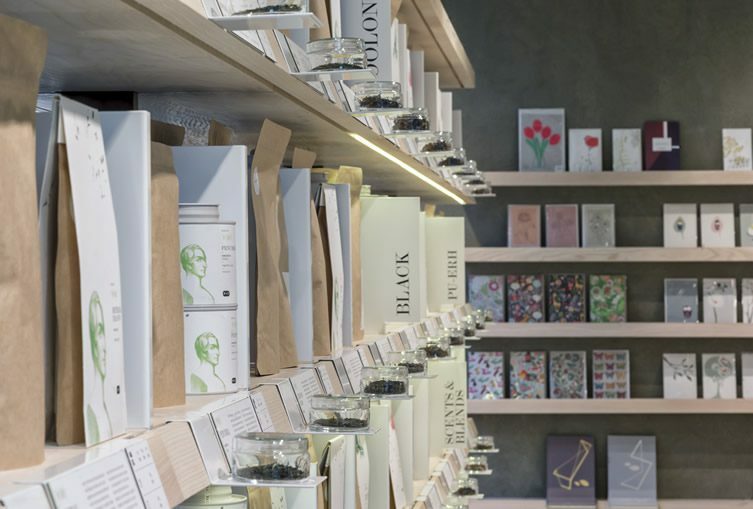 While coffee still retains its crown in mainland Europe, tea is certainly gaining ground and it’s now recognised as a gourmet item in the same way as wine and chocolate. 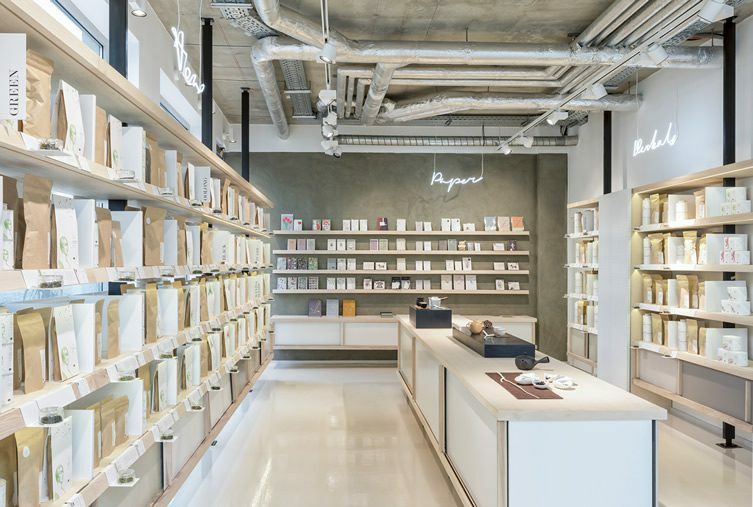 Berliners are clearly getting wise to the delights of tea; speciality store Paper & Tea has just opened its second branch in the city’s Mitte district, blending a retail operation offering a huge array of carefully sourced leaves from around the world with an educational dimension aimed at demystifying tea culture. 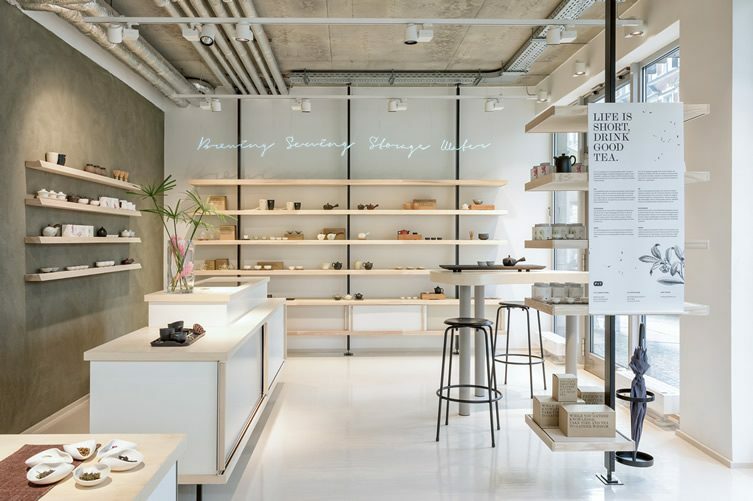 Fabian von Ferrari has designed the store to be part tea shop, part natural history museum. 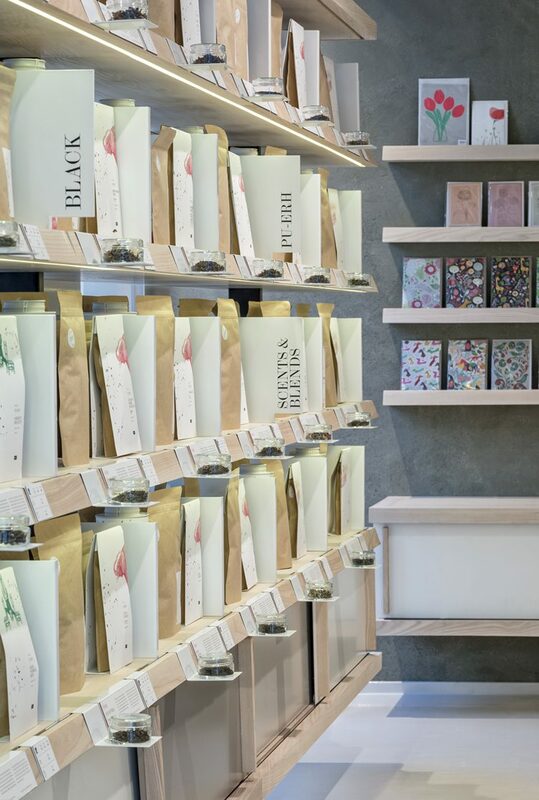 Free-standing presentation cubes with sliding drawers and rows of shelves hold both information and produce organised by oxidation level, from white to green, yellow, oolong, black, and pu’erh (a rare speciality of Chinese tea culture virtually unknown in Europe). 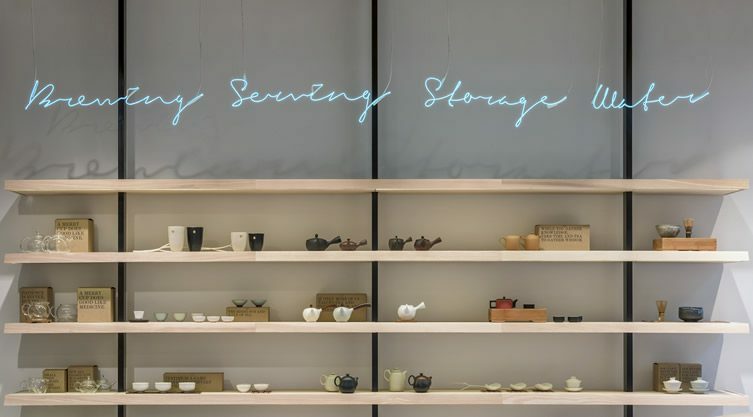 Tea is available to sample, brewed by a “teaist” in the Gong-Fu style, and there’s a space next door for tea seminars and specialised tastings.